I posted a little about the new features (well actually “alluded” to them) in the 9.2 release since we can’t blog about it, but ESRI did write an article in the latest ArcNews about what is new and how it all works. If you want to see how 9.2 revolutionizes how we’ll create maps in 9.2, check it out. It even has tons of pictures to show you just how it works. The new features give GIS professionals so much more control over their maps. This is something anyone who creates maps in ArcMap will want to keep on top of or you’ll be left behind. The power to create maps and not lose accuracy is simply amazing. 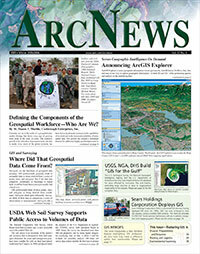 One thing to keep in mind, the article doesn’t mention it but at the 05 UC, ESRI did say you’ll need an ArcInfo license to create these cartographic features and at least an ArcEditor license to edit them you’ll need just a ArcEditor license to create these cartographic features. ArcView cannot work with these features but can open and render them so you won’t lose them if you have to print from ArcView.